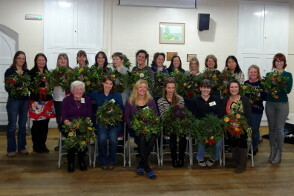 There was a great turnout for our evening of festive wreath making. Everybody was supplied with a metal ring, a bag of moss and a plentiful selection of greenery and given a quick demonstration on how to put it all together. The results were fantastic; look out for them on doors in December! We were also joined by journalist Polly Hudson from The Mirror and the NFWI’s Head of Communications, Charlotte Fiander. Take a look at Polly’s double page article in The Mirror . Fantastic evening enjoyed by all on Monday 21st October with cheese tasting and a very interesting talk by local cheese maker Ceri Cryer; maker of delicious milk, cream, butter and ice cream at Brinkworth Dairy in Wiltshire. 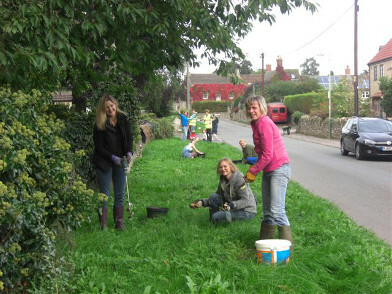 All Angels WI joined members of Kington St Michael WI on Saturday 5th October to plant spring bulbs in the village. These new bulbs are to replace the ones that were removed by the recent gas works near The Ridings with a grant of £100 from British Gas. Luckily there was a good turn out from both WIs as there were over 500 daffodil bulbs to plant. Well done to everyone who helped as it was hard work digging holes on that bank! 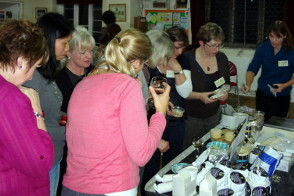 It was also a lovely social occasion and enabled members of both WIs to get to know each other better. Everyone had a go at spinning at Liz McCarron’s spinning workshop. 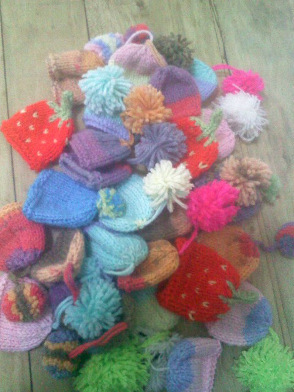 We all had fun and came away with some sort of thread! Some of us really got the bug and bought our own spindle set.